Please tell us a time to check. And we are so sorry that we could not return huge amount of gems. So we can only return the speedups which you used. Thanks. No, I know Stanley can return what i lost from,the glitch or the monetary value of the gems in,a,refund or in a pack of some sort ..The time stamp will,be recorded in the ticket. I also want compensatiom,for,having to wait 6 weeks. I will settle for the gems and 50 24 hour speedups for compensation for waiting for 6 weeks. Thank you James for such a fast reply, as always ypu are helpful. You have to send in-game support ticket to reach Stanley more easily. The agents there are led by him. As you can see here, I never managed to get any gems back for the players here. Thanks. I try, I even ask for supervisor but the agents do not listen. Please try to,contact him ....and if you cant, then,can you give me the speedups that equal the gems I,used ? I really appreciate you always being,helpful and explaining things. Please tell me a time span when you used those speed up to check. And then I will ask them to re-send the speedups to you. But it may take a couple of times before the adimn will accept. So feel free to bump the post here if you don't hear from me for more than 24 hours during weekdays. Thanks. 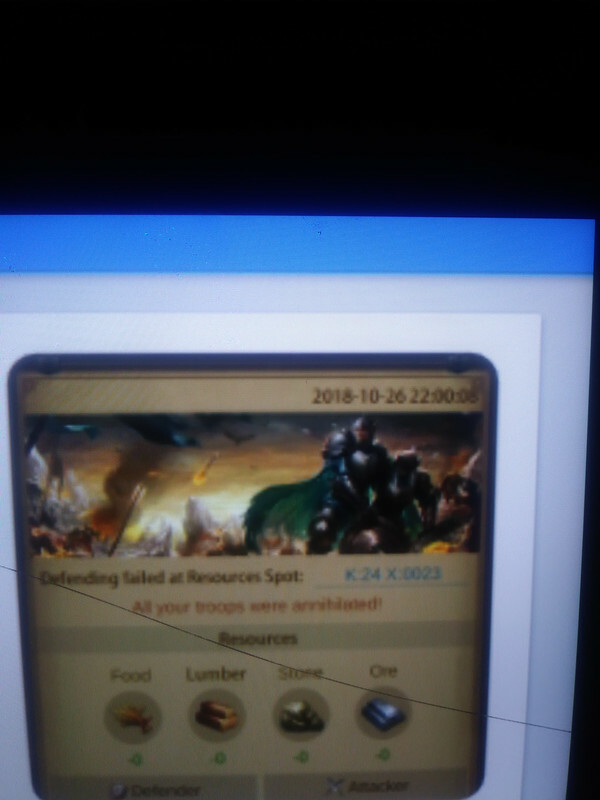 They have already sent some speedups and resources, just not the gem when there is proof i used them. The timeframe is from the time poster on the battle report and within an hour or 2 I had healed. Thank you for letting me know. As I said before, we cannot send gems. We are sorry about that. Can you ask to give me the equivalent speed ups for the amount of gems I used ? This seems fair, if you do this. Oh, I didn't see the time. I am sorry. I will check for you now. And please tell me how much speedups you had received from our in-game support. I guess I could request for the rest/difference for you. Thanks. I used a little over 106k gems....i get about 15 seconds of heal time per gem. I dont do well with calculations but its only 500 or less 1 hour speedups remaining. Customer support sent me 400 days of speedups and the resources I asked for. The only thing I am short of,is the gems...but if you can get the speedups in lieu of the gems I used that would,be great. Thank you again James, for the timely replies and your willingness to help. I will check back tomorrow, have a good night. Could you also tell us when you received the speedups please? From the log, I can see that you used 400 hours plus 2x 24-hour speedups, along with a good amount of gems. So I need a time to locate the speedups you receive so that I can confirm and send in enough information to request for the difference for you. Thanks. We can see that we sent you 400 days of healing speedups. Our developer told me that the gems you used equals for about 5 months of speedups. I will try to ask if we could give another 50 days of speedups to you which you asked for. But I am not sure that they would agree. Thanks.